Here director Michael Epstein took the story further. He had access to Lennon and Ono’s personal archive and, for obsessives, unearthed previously unseen film footage of recording sessions, interview material, and early run-throughs of Imagine, Jealous Guy and How? But what this film really did was provide context. Not only in the words and memories of people who contributed musically to the album – drummers Jim Keltner and Alan White, bassist Klaus Voormann among others – but also friends, hangers-on, assistants, photographers and journalists who captured a precise moment in the personal and creative lives of Lennon and Ono. More than anything, though, this film sought to give Ono the equal credit many (including Lennon in a 1980 interview replayed here) said she should have had for her contribution to Imagine’s title track. As a result, what emerged from what might otherwise have been just a gentle retrospective was a remarkably rounded picture of two emotionally fused and radically engaged talents working together to condense their thoughts on art, politics, love and music into one of the best-known and commercially successful protest songs ever. In so doing, it also reminded us of how and why Lennon’s – and Ono’s – central message of peace, love and people-power remains so potent to this day”. It was a compelling story that used footage from various stages of their relationship. A lot of the feature concentrated on the album, Imagine, in 1971 but there were interviews with Lennon and Ono and contemporary viewpoints from people who worked with the couple. One of the biggest realisations from the documentary is how potent and meaningful that message of peace is today; how John Lennon and Yoko Ono wanted people to come together and how much we need to take that to heart today. I was moved by the intimacy between Lennon and Ono and how naturally the former Beatle put these masterful songs together. It was wonderful looking in the studio and that mix of casual and serious. Players (such as George Harrison) and producers were milling and smoking; shooting ideas around by there was always that professional atmosphere. Lennon’s serious tone and commitment to the work was essential – to ensure the very best work was coming forward. There are myths and exaggerations regarding Yoko Ono’s role in breaking up The Beatles. Many assume her close bond with Lennon divided the band and meant his focus was away from the band and he was more committed to her. Yoko Ono, throughout her relationship with John Lennon, was subjected to racist abuse and misconceptions. After The Beatles’ split I 1970, it was only natural the two would start making music together. To be fair; their start was a little ropey. The conceptual trio of albums they put out in the late-1960s was not well-received by critics. Unfinished Music No. 1: Two Virgins featured that famous cover of the two naked – the results, as critics noted, was a disaster. The second edition, Life with the Lions, featured actual silence and all sorts of weirdness and conceptual guff. It was slayed by critics and the third piece, Wedding Album, was simply two tracks/sides – John & Yoko and Amsterdam – that tested even the most ardent John Lennon fan. It was a rather sorry end to the decade for Lennon and one suspects the guidance and influence of Yoko Ono defined the tone and concept of these albums! “It was a revolutionary record -- never before had a record been so explicitly introspective, and very few records made absolutely no concession to the audience's expectations, daring the listeners to meet all the artist's demands. Which isn't to say that the record is unlistenable. Lennon's songs range from tough rock & rollers to piano-based ballads and spare folk songs, and his melodies remain strong and memorable, which actually intensifies the pain and rage of the songs. Not much about Plastic Ono Band is hidden. Lennon presents everything on the surface, and the song titles -- "Mother," "I Found Out," "Working Class Hero," "Isolation," "God," "My Mummy's Dead" -- illustrate what each song is about, and chart his loss of faith in his parents, country, friends, fans, and idols. It's an unflinching document of bare-bones despair and pain, but for all its nihilism, it is ultimately life-affirming; it is unique not only in Lennon's catalog, but in all of popular music. Few albums are ever as harrowing, difficult, and rewarding as John Lennon/Plastic Ono Band”. Still, Plastic Ono Band remains Lennon's most consistent, and most important, solo work. Every part of his convoluted genius – Utopian dreamer, angry brawler, lonesome orphan, naked provocateur – is found here, and it's laid bare inside the most stripped-down, revelatory setting of his solo career”. This first bloom of John Lennon and Yoko Ono’s partnership was transforming this troubled and isolated songwriter and transforming him back to his very best self. Although the real heart of the Lennon/Ono peace explosion would take place later; the brilliance and chemistry that defined John Lennon/Plastic Ono Band was defining Lennon’s next phase. The introspective and open tone of the record, I feel, has Yoko Ono all over it and allowed Lennon to move (John and Yoko were accompanied by The Flux Fiddlers) onto Imagine and start this revolution; a chance of peace and a genuine movement that caught the world’s attention. 1971’s Imagine was a more elaborate and ambitious effort than the previous year’s work and, with new confidence, the songs were among John Lennon’s very best work. The album was written during a bad period where there was tension between John Lennon and Paul McCartney. How Do You Sleep? Is a rather harsh and direct attack against McCartney following his jab against Lennon on the album, Ram. Lennon explained, in subsequent interviews, how the two were still hanging out and it was more creative rivalry than hatred. 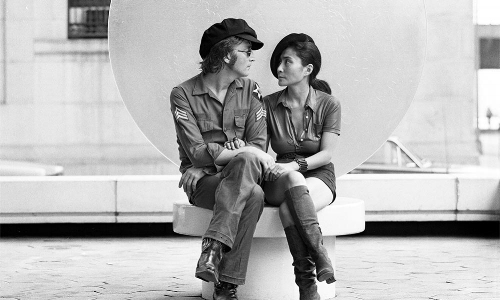 Imagine’s title anthem is Lennon’s defining moment and seems to be the distillation and definition of the love he and Yoko Ono shared. Although writing credit has been changed to include Ono – it used to be credited solely to John Lennon – her fingerprints are in there and you can sense this man yearning for equality, unity and harmony throughout the world. 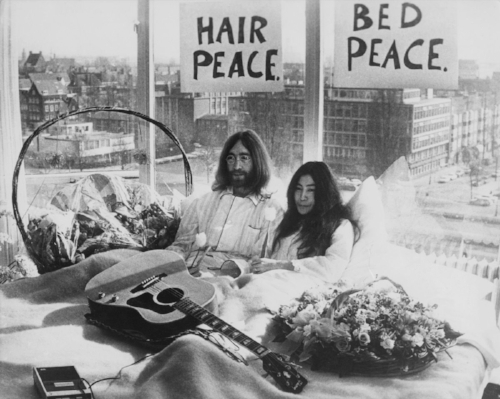 The song, alongside the bed-in and protests that followed- pricked governmental ears and Lennon was seen as someone who could lead a hippe revolution against the then-U.S. President Richard Nixon. One reason why last night’s Channel 4 documentary got to me was because of the genuine desire to change things and spread the message of peace. 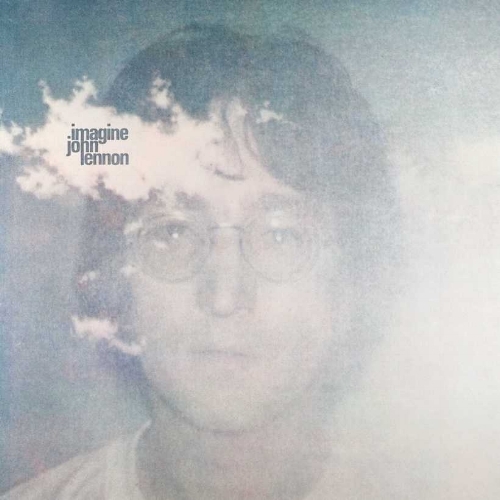 Imagine did feature songs with bitterness and plenty of anger but it was tracks like Imagine and Jealous Guy that showed this tender, inspiring side. Jealous Guy started life of Child of Nature – on The Beatles’ 1968 eponymous album – and is one of the most revealing and stunning songs in Lennon’s cannon. Many cannot connect with a song like Imagine because they feel it is hypocritical. Lennon, as a millionaire, was talking about having no possessions and there being no God. The thing with attacking Lennon on those grounds is the overriding message is one of peace and harmony. “It was the year 1969, 14 years into the deep morass of the Vietnam War. Richard Nixon had been in the White House for two months, and San Francisco’s “Summer of Love” was all but a fading memory as American troops continued to drop bombs on Vietnam and Cambodia. But despite all this, a fervent push for peace and utopianism was percolating over 5,000 miles away—in a hotel room in Amsterdam. Years later, Ono would reflect back on her role as one part of Mr. and Mrs. Peace, as Lennon referred to them. “John and I thought after ‘Bed-In,’ ‘The war is going to end,’” she recalled. “How naive we were, you know? But the thing is, things take time. I think it’s going to happen. I mean, that I think we’re going to have a peaceful world. But it’s just taking a little bit more time than we thought then”.